I was encouraged, challenged, and convicted when I heard a sermon from Pastor Bill Neil called, Arrows in my hands. I have 5 children. 3 are biologically mine. 2 are temporarily mine. 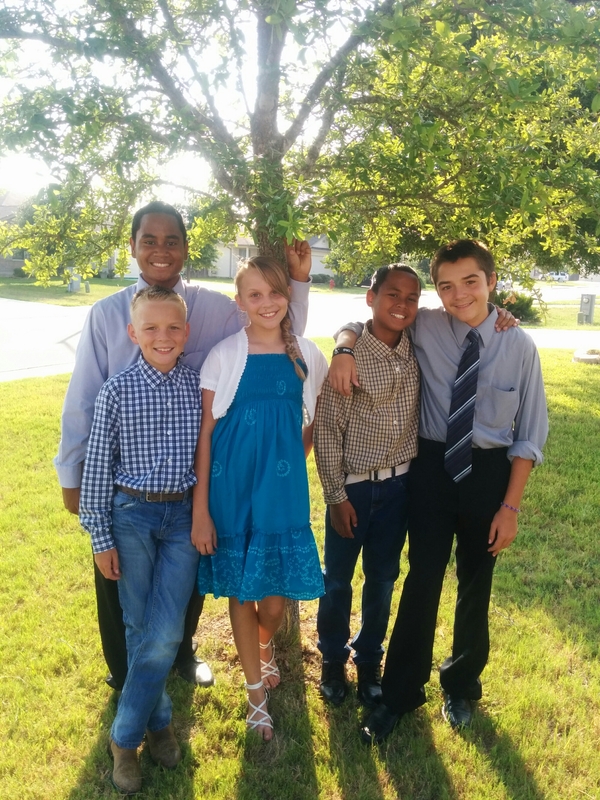 These 5 children are arrows that God has placed in my hands. How we place our children in our life and in our hearts is very critical. 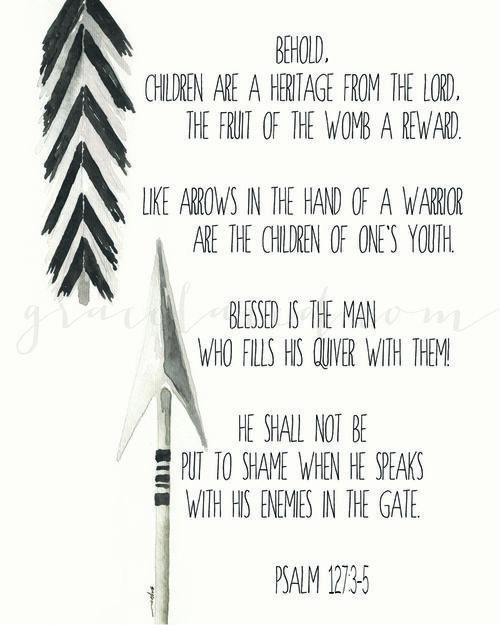 If our children are going to be effective arrows it depends on how their being valued by us, their parents. As parents, we are called to make arrows that hit their mark, that go father then we ever have, and that pierce the world for the love of Jesus Christ. Arrows do not become affective playing video games, always on the internet or social media. I know that’s not popular in this day & age, but it’s the truth. I know lots of kids, good kids, who are being baby sat by video games & Netflix, or the internet & social media. Lots of people are screaming at our kids- opposite of what we are saying. They’re hearing all kinds of voices. Our voice needs to be the voice that our kids hear; loving, caring, & understanding. Our goal is that our kids trust our voice over all the others screaming and pulling at them on a daily basis. But they won’t trust our voice if it’s demeaning, abusive, or says nothing at all. How do we make affective arrows? With purpose, trained to fly, and released to fly. I am by no means saying that I have this down. I am a work in progress. My arrows are still in my quiver being trained to fly. But I’m believing God to continue to guide my husband and I to train each one of them with purpose, so whenever the day comes that we release them into this world, they be prepared and effective. If you want to hear the full sermon download the app: The Door Church in Tuscan, Arizona; you’ll find it there. Last night at about 1 am, I woke up to the sound of a crying boy. One thing you must know about me is that, I have a weak stomach. I have NEVER cleaned up after any of my 3 kids if they were ever sick with “the bug.” I would just cover the area up with something and stay as far away from it as possible and wait till my hubby got home so he can clean it up…..Don’t judge! Anyways, back to last night…. I told him to come lay in bed with me and I’ll deal with cleaning it up tomorrow. Gross, I know. Well, an hour or so went by and he got sick again! This time all over MY bed! As he was in my bathroom washing up, I just rolled all the blankets & sheets sheets together, threw them in the laundry room and left it at that because I really did Not want to clean this up now. I’ll do it tomorrow. I went upstairs to get more sheets and I wasn’t even half way up when the aroma stopped me in my tracks!!! Needless to say, I spent the next hour cleaning up the mess in his room, desperately praying that I can keep myself together. I didn’t even wash his sheets… I threw those suckers away… Because… AIN’T NOBODY GOT TIME FA DAT!! He wasn’t lying when he said he got it all over his bed either! Thankfully, we made it through the rest of the night mess free! My day consisted of: washing all the bedding, disinfecting my whole house, home schooling my 2 older kids, and tending to my sick boy who now has a fever. Am I complaining? Not at all. I am so grateful that I have a God I can call upon for peace in the midst of a somewhat crazy day. I’m grateful for awesome kids who helped keep things going smoothly and took initiative with their schooling while I tended to their brother’s needs. I could have easily freaked out and let this day get the best of me, but I chose to have joy. I chose to tackle this head on. I chose to put on my big girl “chonies” and deal with it. I chose to look at it with a positive perspective, which doesn’t come naturally for me. I tend to be more of the pessimist at times…Not proud. Lastly, I’m so very grateful that I conquered this day without my stomach giving out on me! That is a MAJOR victory! My house is almost back to normal and I’m looking forward to an uneventful night. Oh! If you’re wondering why my hubby didn’t help me with this, is BC he’s outta town. So I was forced to take care of it all by myself! What a big girl I am!!! I think I passed the test, don’t u?!? !